Amish Flat Top Computer Desk with Hutch Top 36"
This small desk is only 36" wide which makes it a perfect choice for a small office, dorm room or den. The hutch top offers plenty of storage space. Choose from a variety of wood types and stain selections to personalize the look and make it your own. Contact one of our skilled Amish furniture specialists for additional information or custom ordering assistance on this stunning solid wood computer desk. 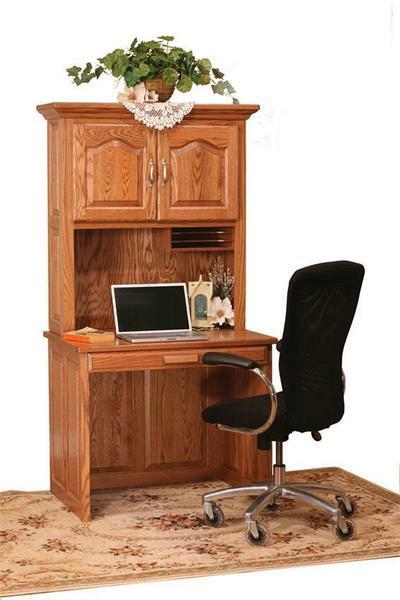 (Item 8490) Amish Flat Top Computer Desk with Hutch Top 36"